The MM300 integrates protection, control, automation, metering, diagnostics and multiple communication protocols in a rugged compact device for low voltage motor applications. Designed for NEMA and IEC Motor Control Centers, the MM300 delivers superior protection and control to extend equipment life and maximize process uptime. 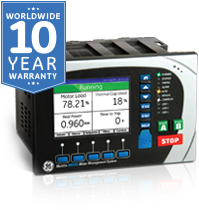 The MM300 is a digital motor protection and control system, designed for Low Voltage motor applications. Flexible and powerful, the MM300’s protection can be scaled to the specific requirements of your system. Event Recorder - Up to 256 time tagged events with 1ms res. The MM300 includes high accuracy metering for all AC signals. Voltage, current, power metering, and temperature all available options. Current and voltage parameters are available as total RMS magnitude and angle. 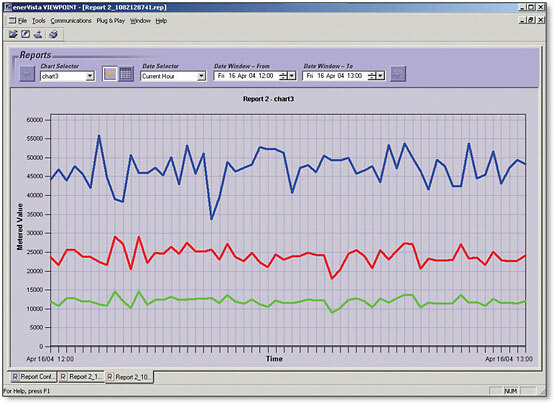 Log motor operating parameters to allow for analyzing motor loading and performance over prolonged periods of time. The MM300’s powerful I/O and programmable flexlogic options offer advanced automation control, reducing the need for additional programmable controllers or discrete control relays. The MM300 utilizes the most advanced communications technologies available today making it the easiest and most flexible motor protection relay to use and integrate into new and existing infrastructures. Multiple communication ports and protocols allow control and easy access to information from the MM300. All communication ports are capable of communication simultaneously. 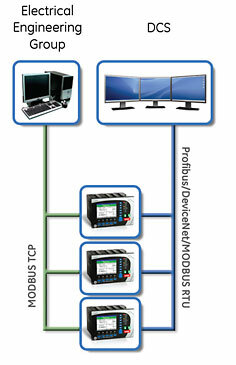 Fieldbus Protocol with dedicated port. The EnerVista™ Suite is an industry-leading set of software programs that simplifies every aspect of using the MM300. 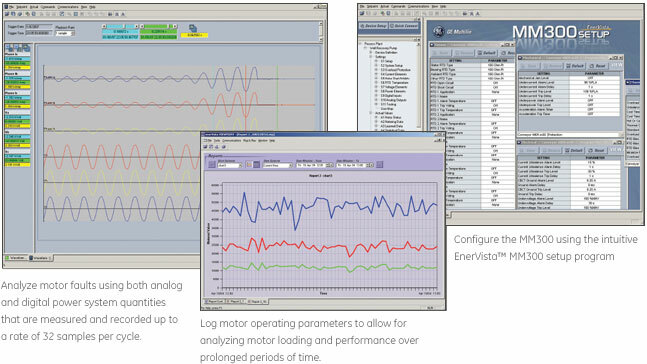 The EnerVista™ suite provides all the tools to monitor the status of the protected asset, maintain the relay, and integrate information measured by the MM300 into DCS or SCADA monitoring systems. Convenient COMTRADE and Sequence of Events viewers are an integral part of the EnerVista Setup software included with every MM300, to carry out postmortem event analysis to ensure proper protection system operation.